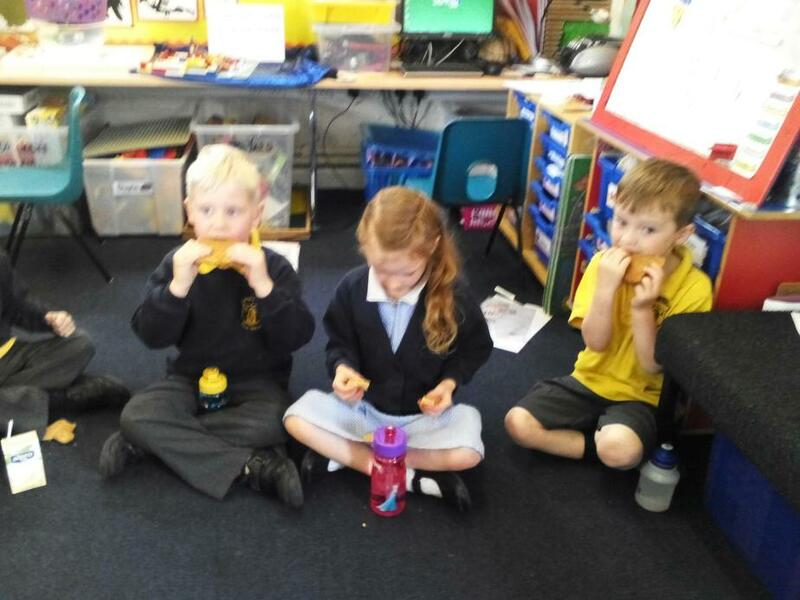 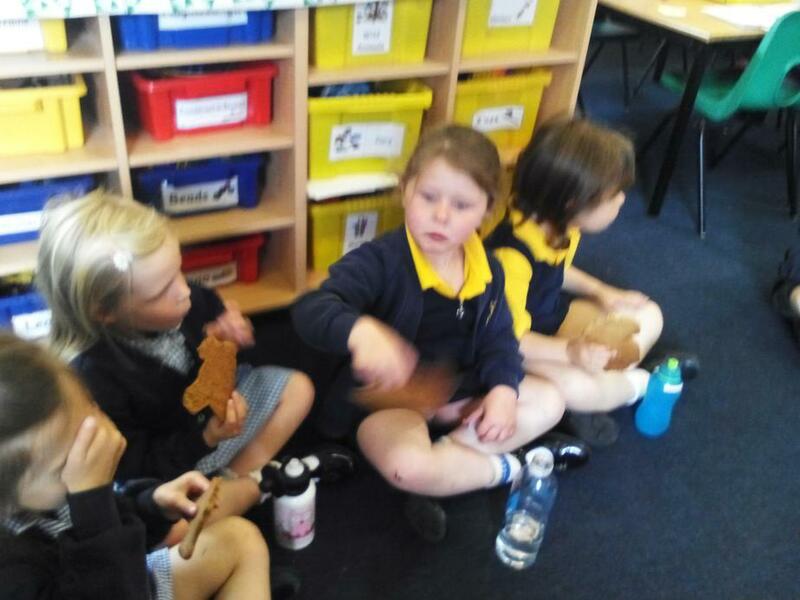 This week our focus story has been The Gingerbread Man. 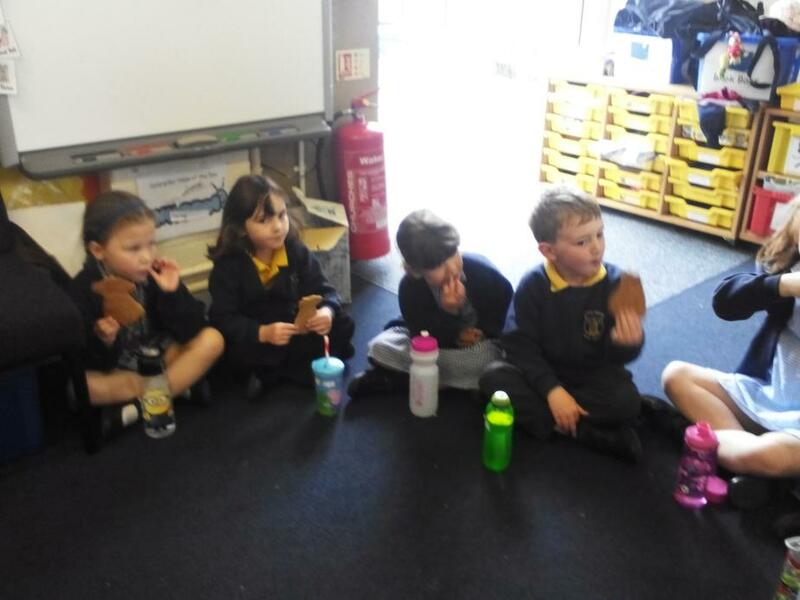 The children have loved learning this story and joining in with the repeated refrains. 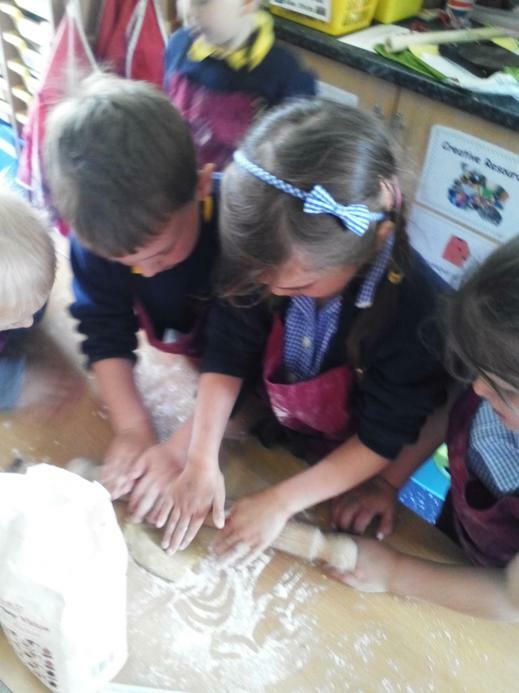 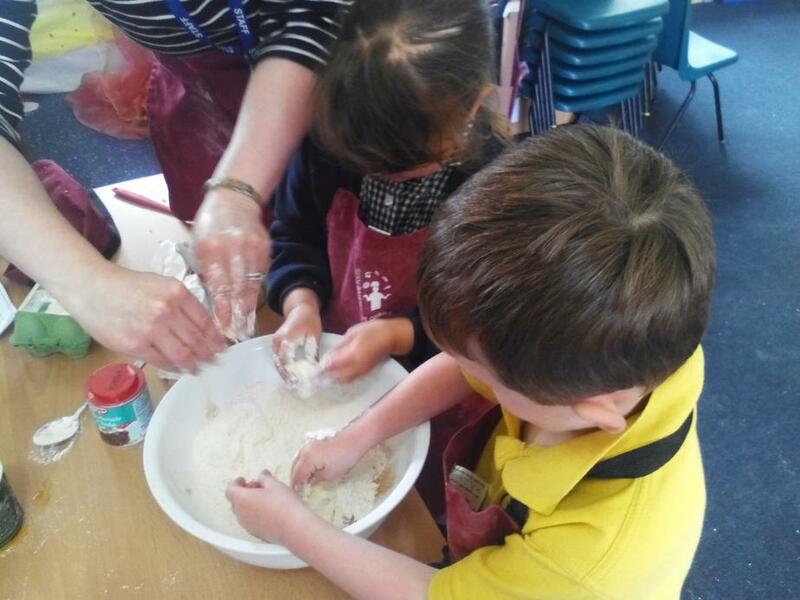 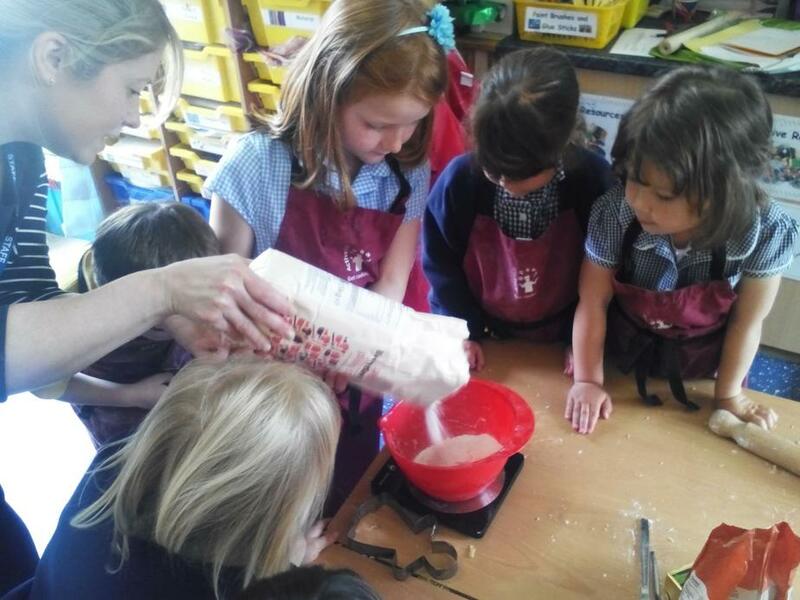 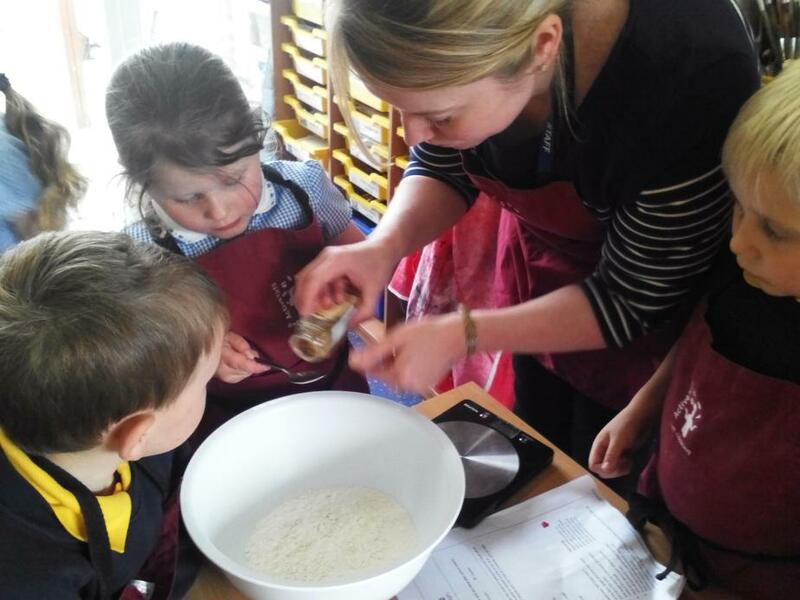 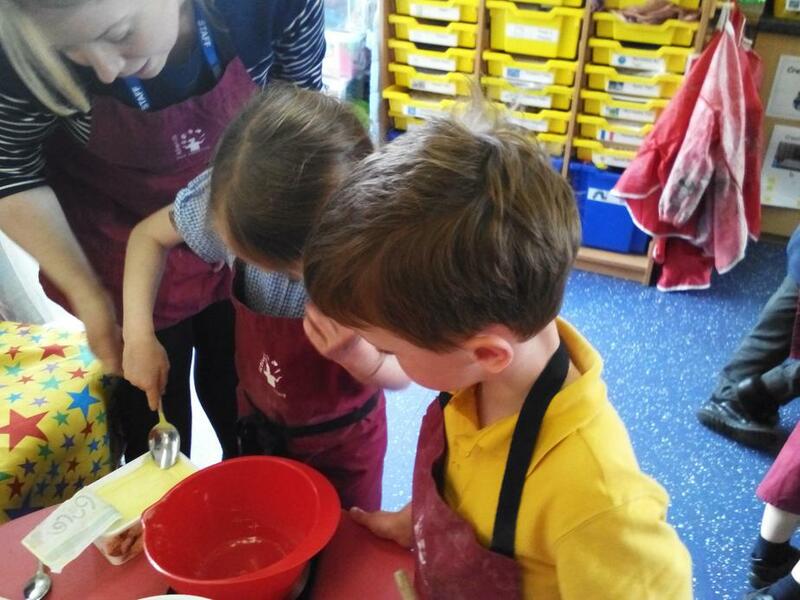 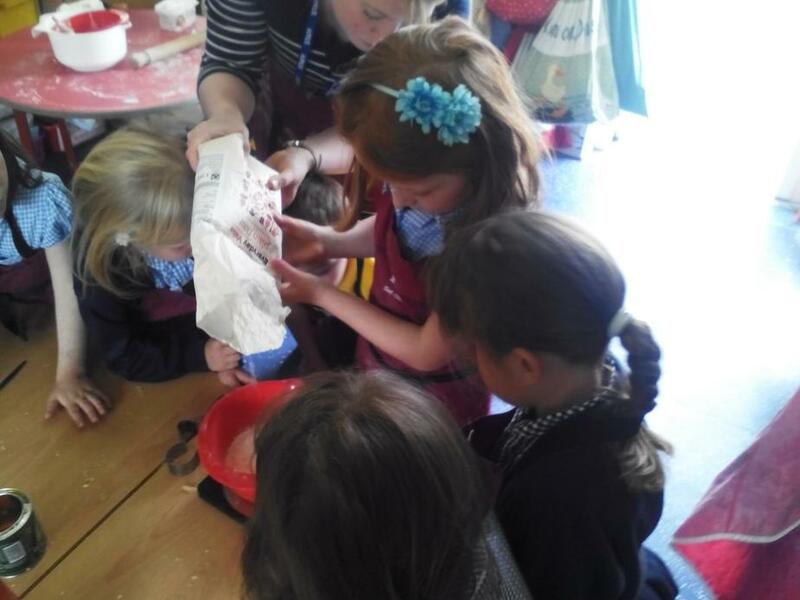 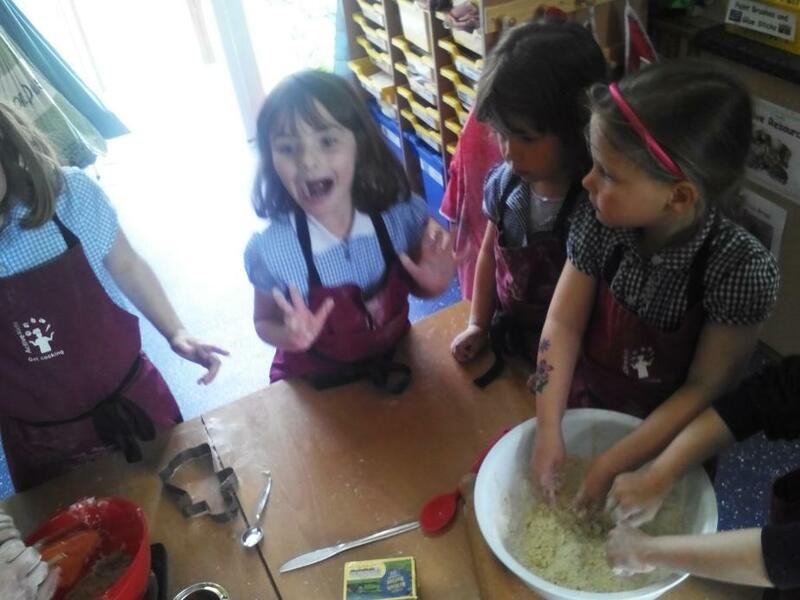 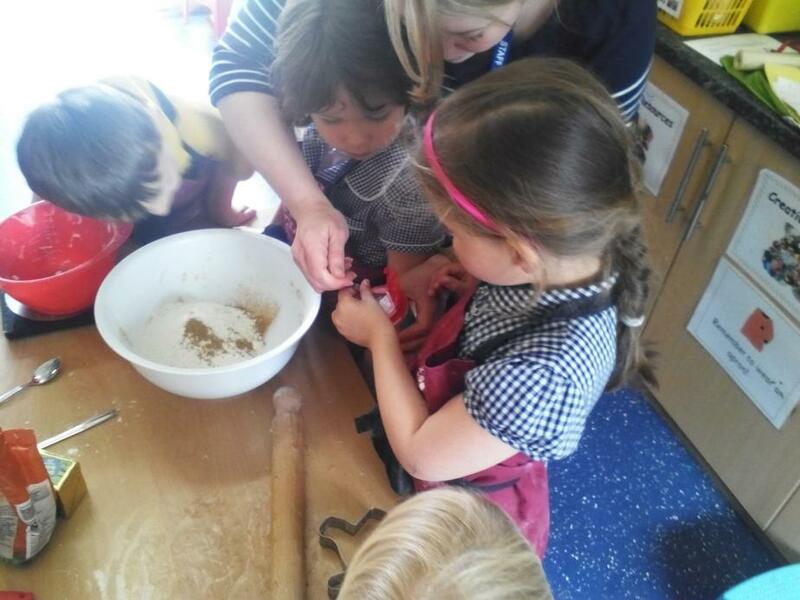 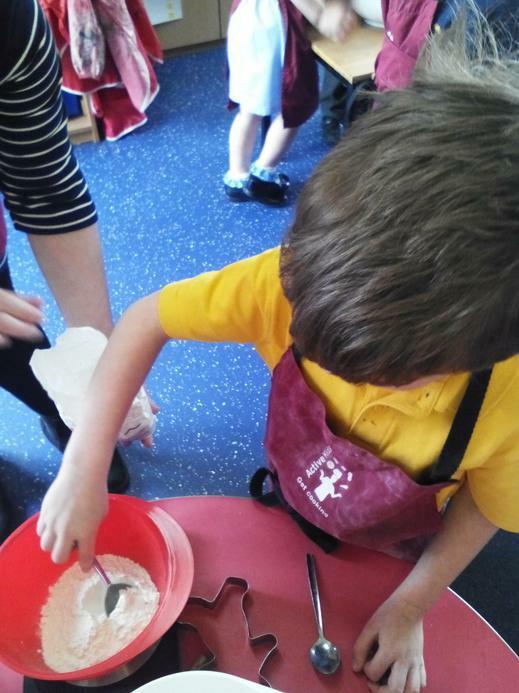 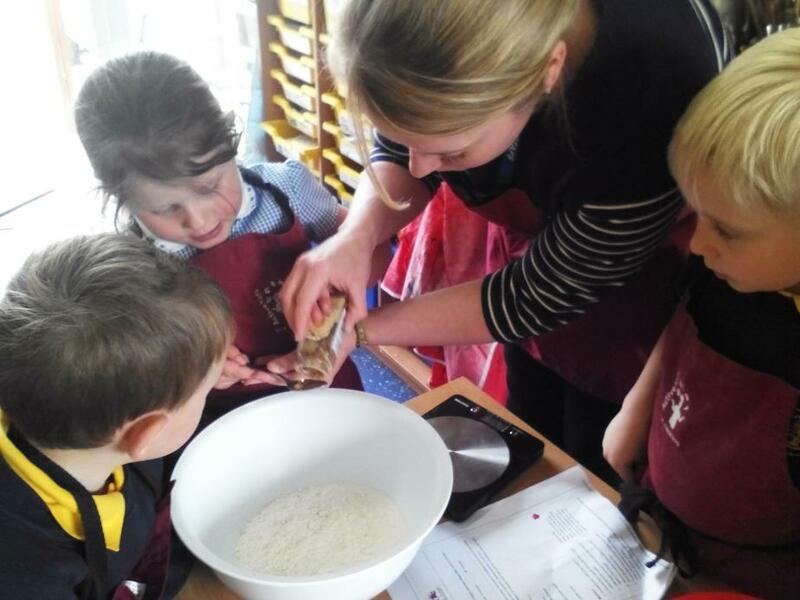 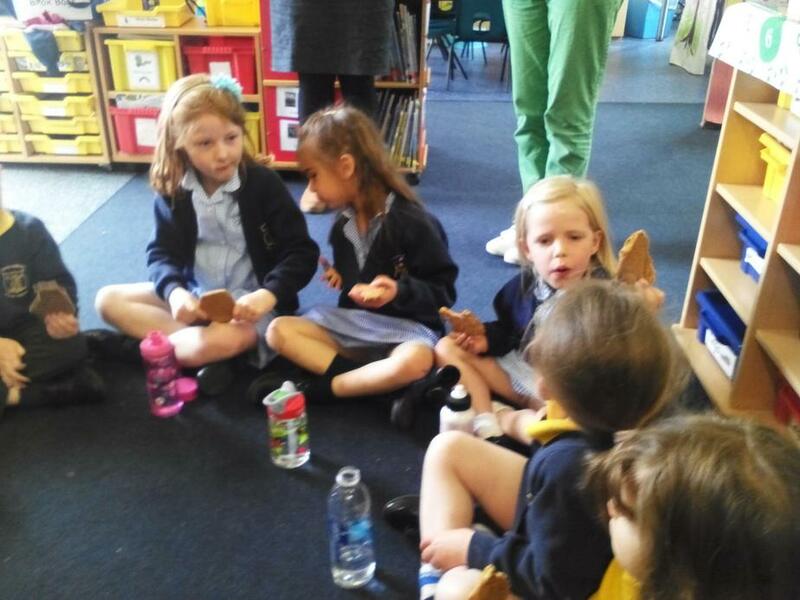 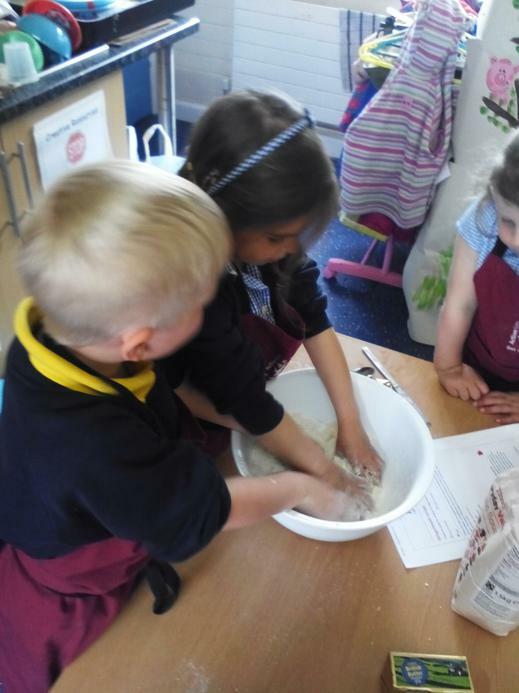 There was great excitement on Thursday afternoon when Giant Class got told they were making gingerbread men and ladies! 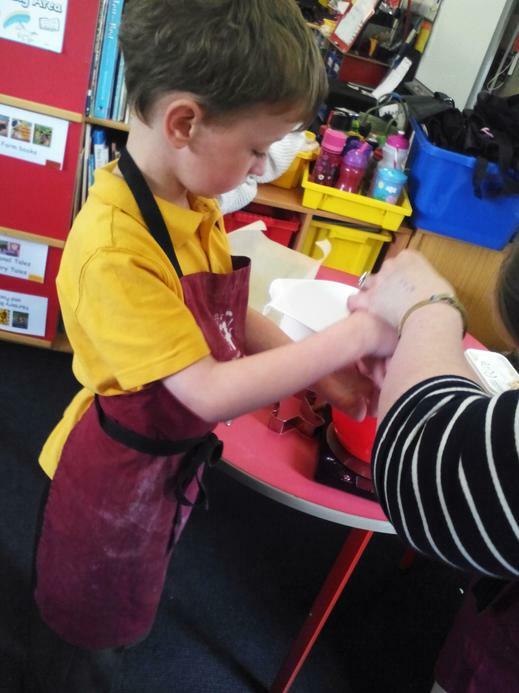 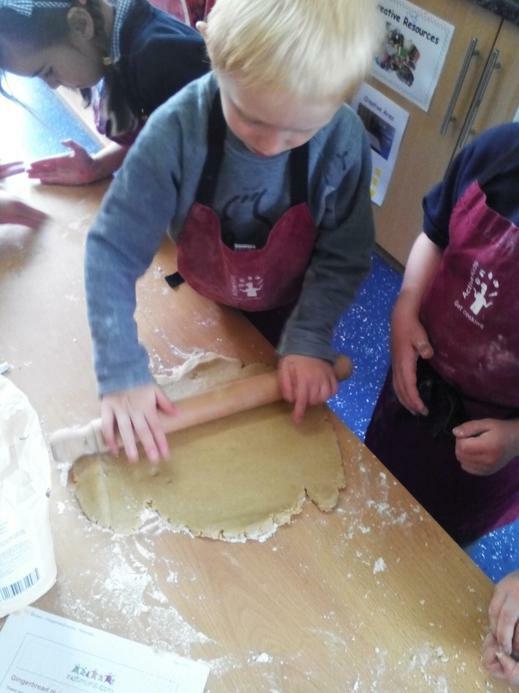 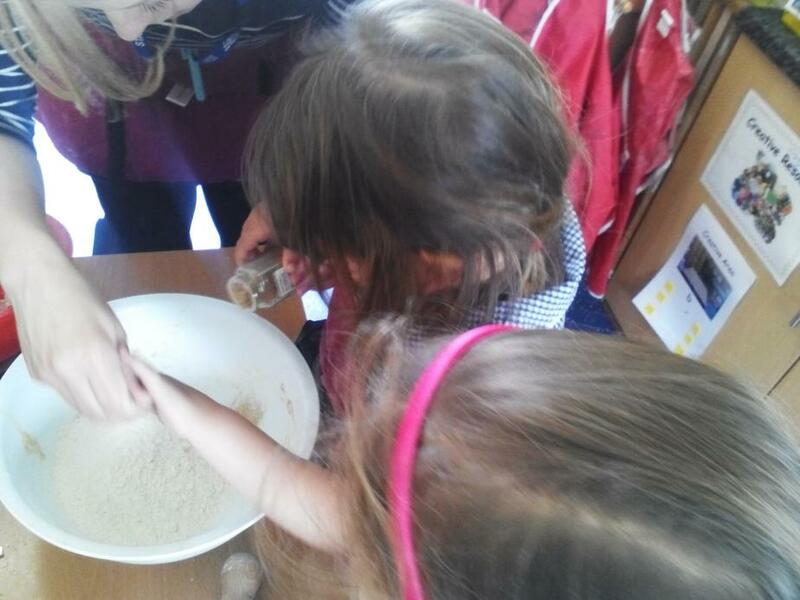 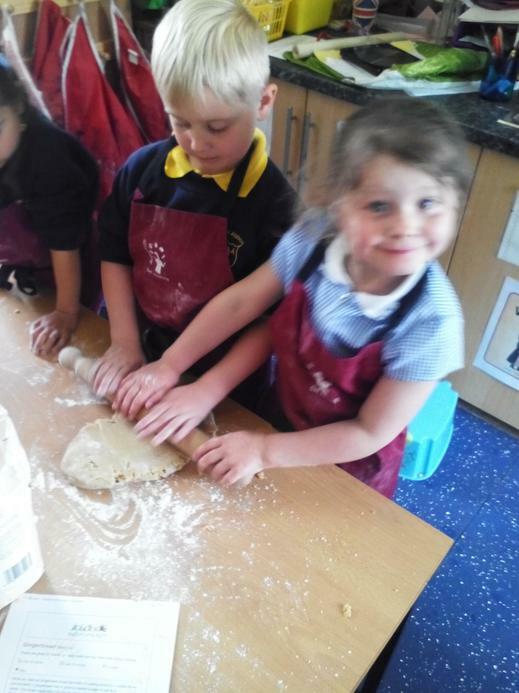 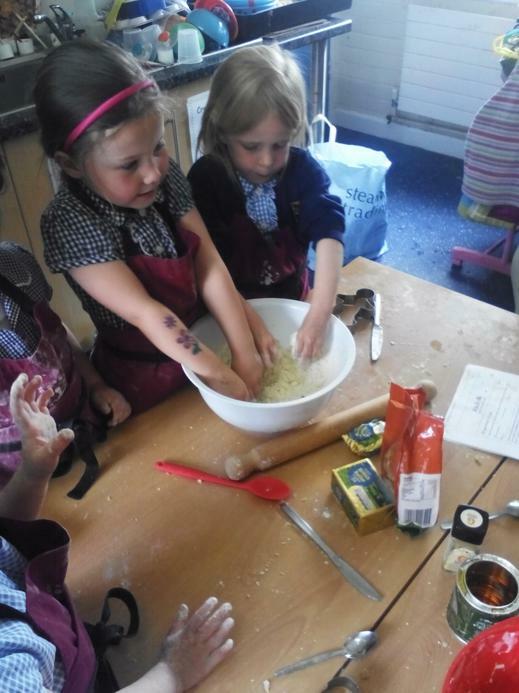 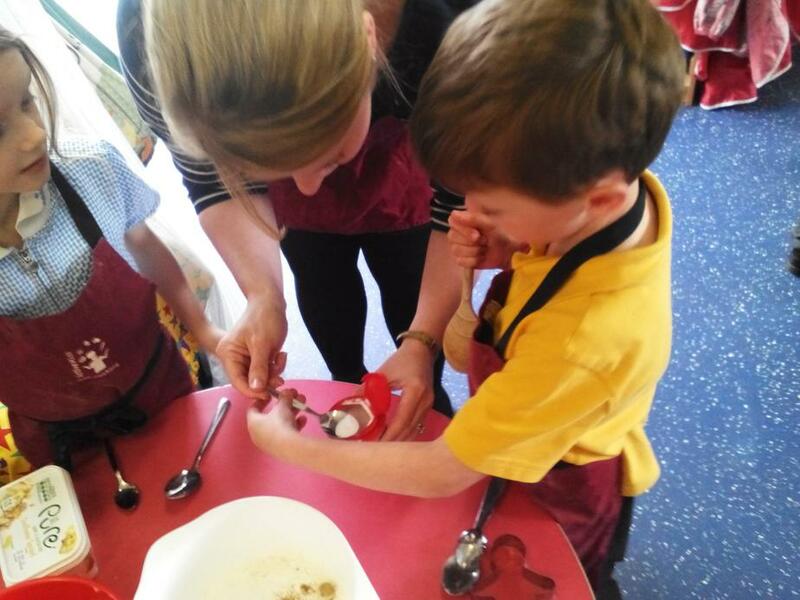 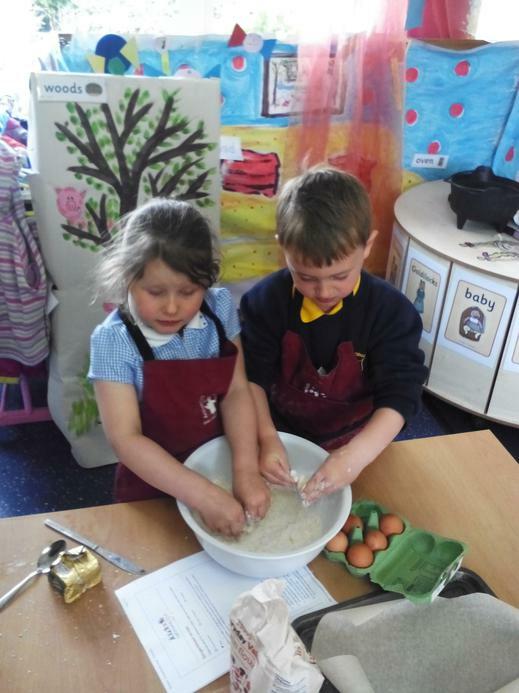 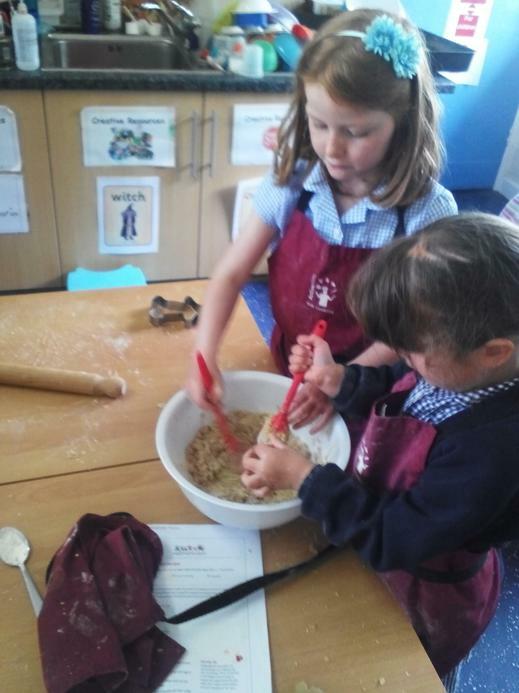 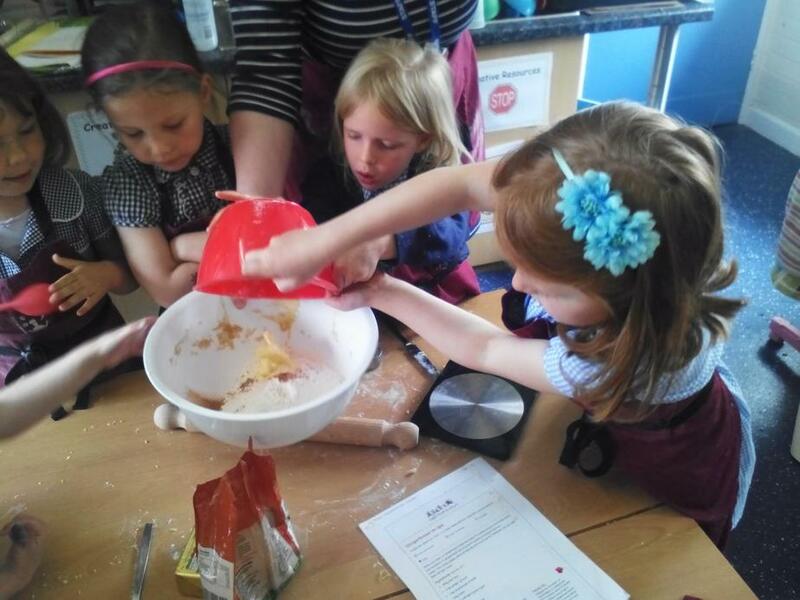 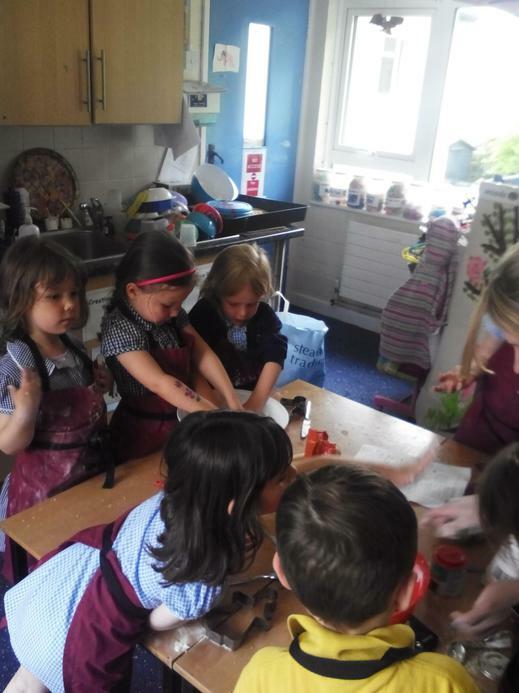 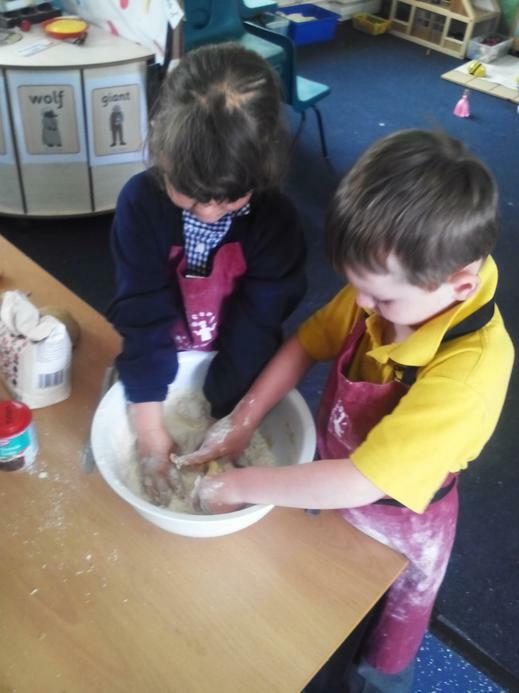 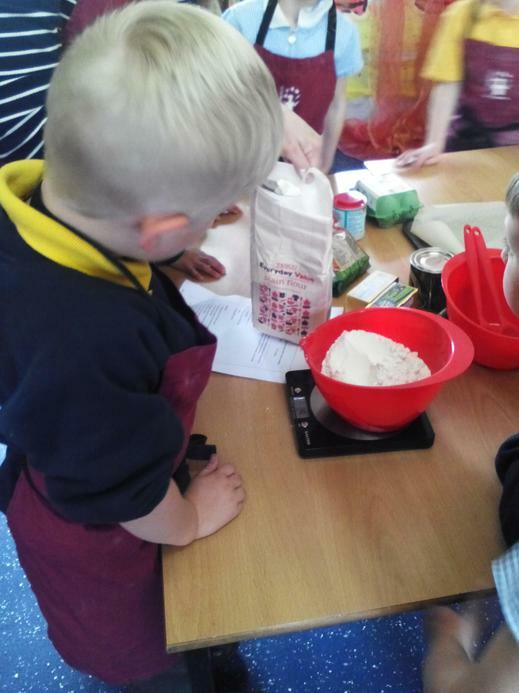 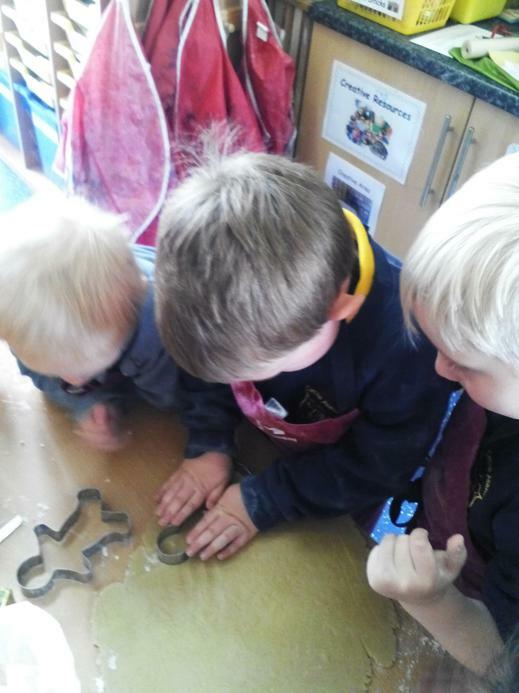 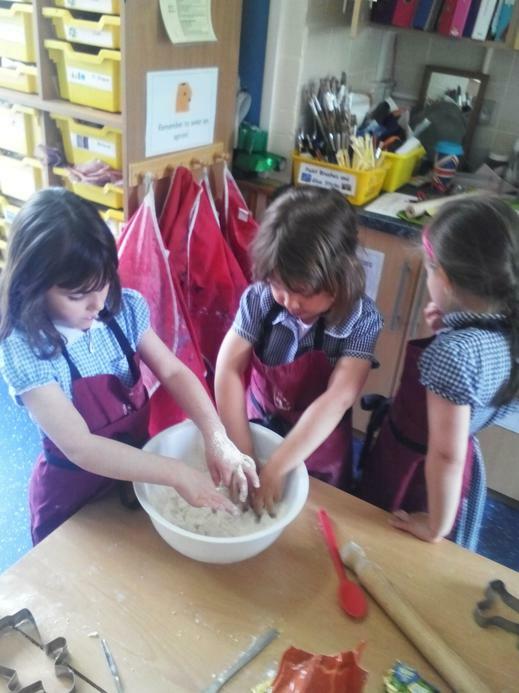 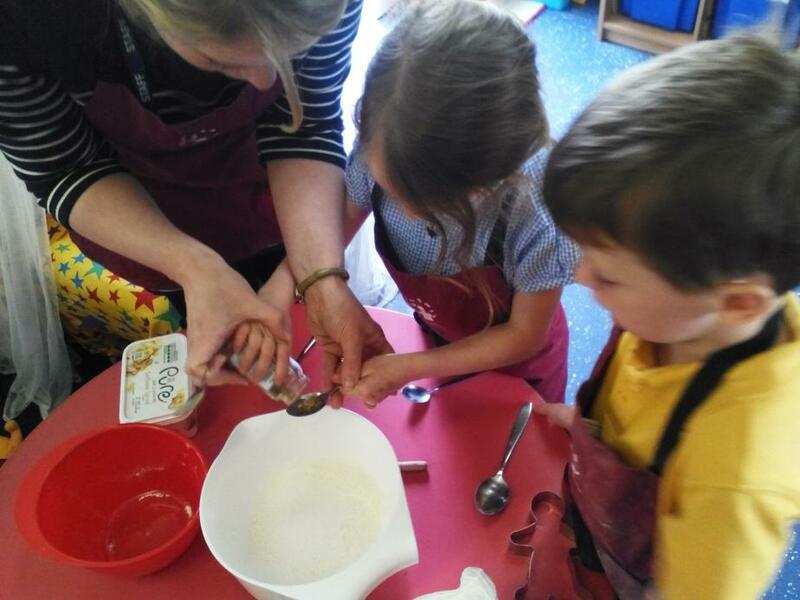 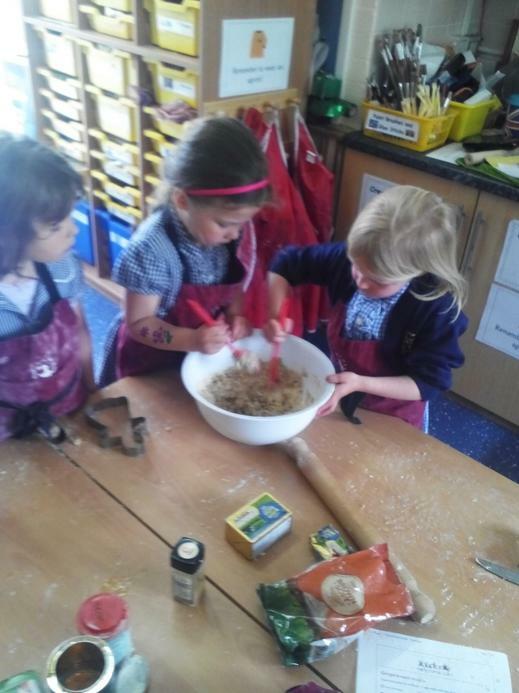 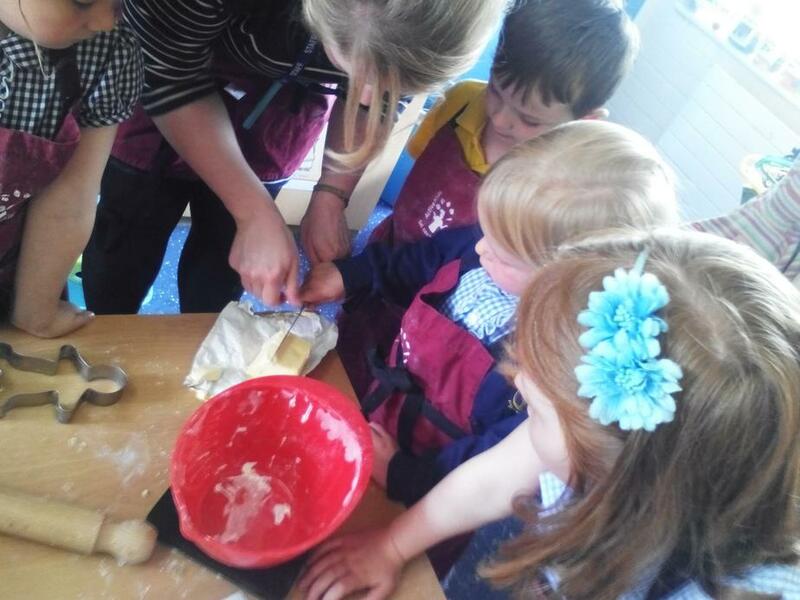 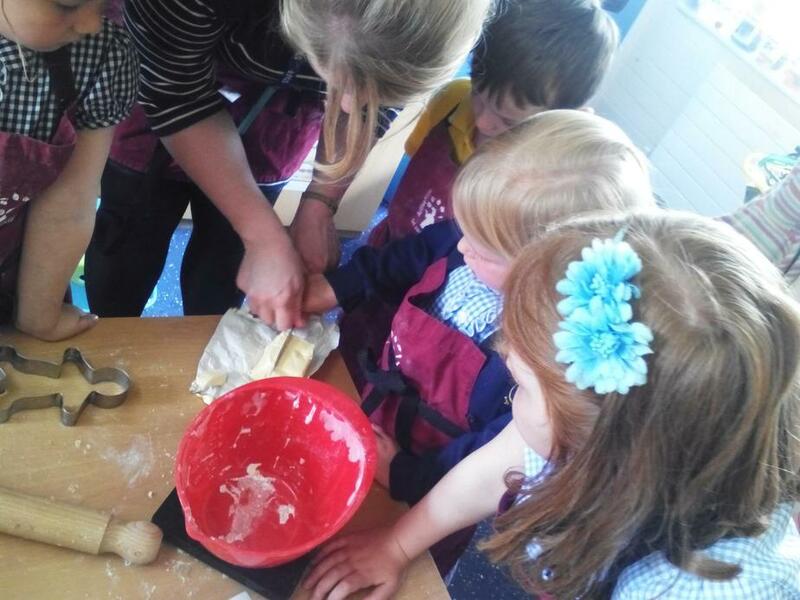 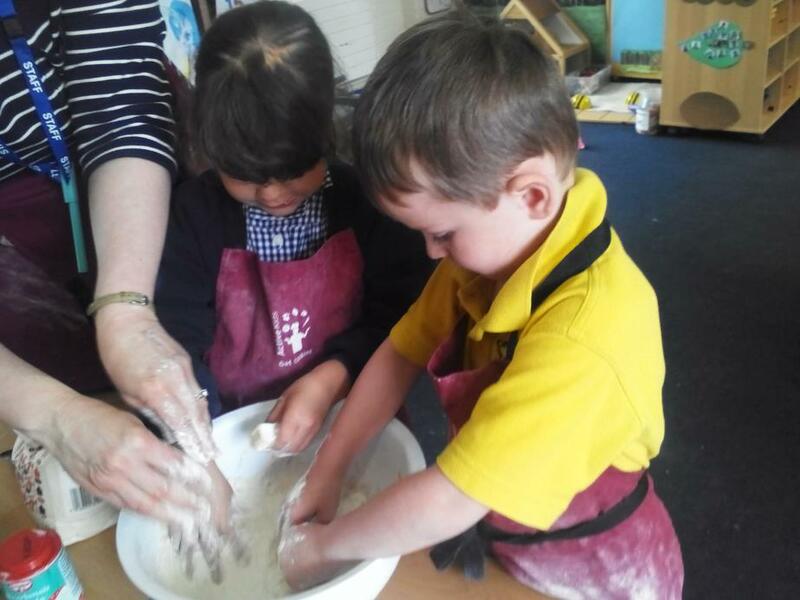 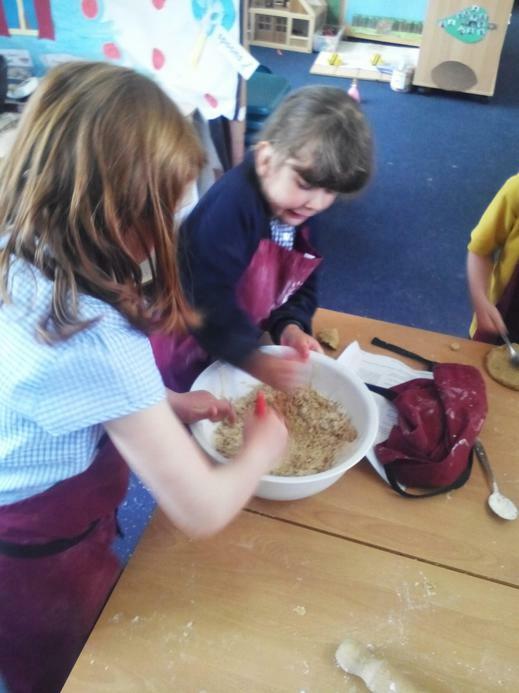 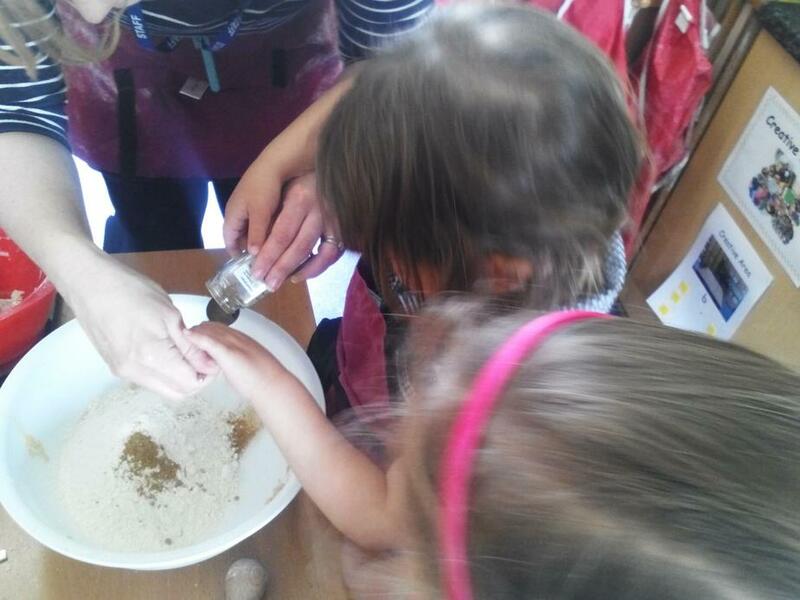 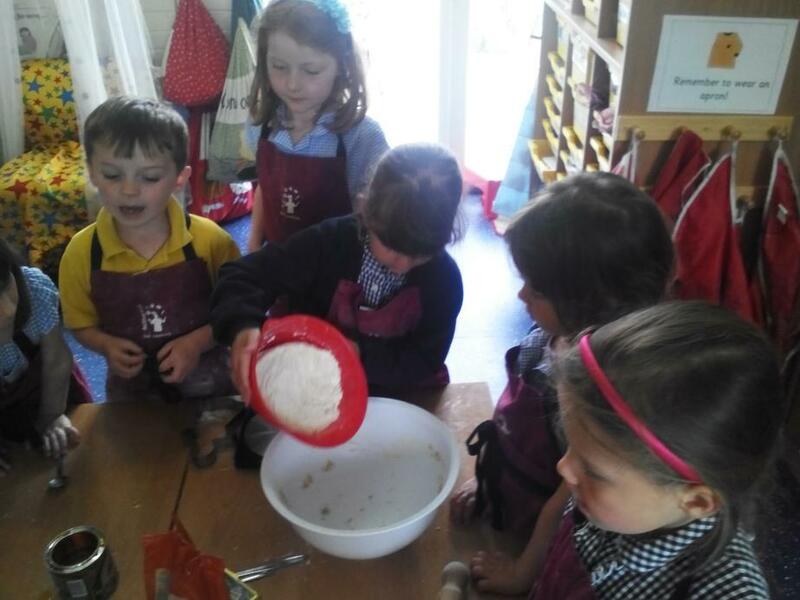 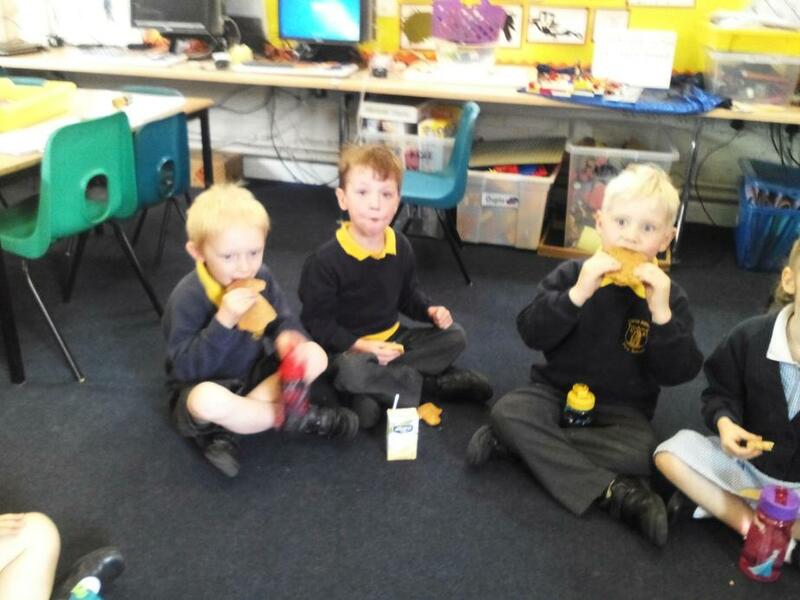 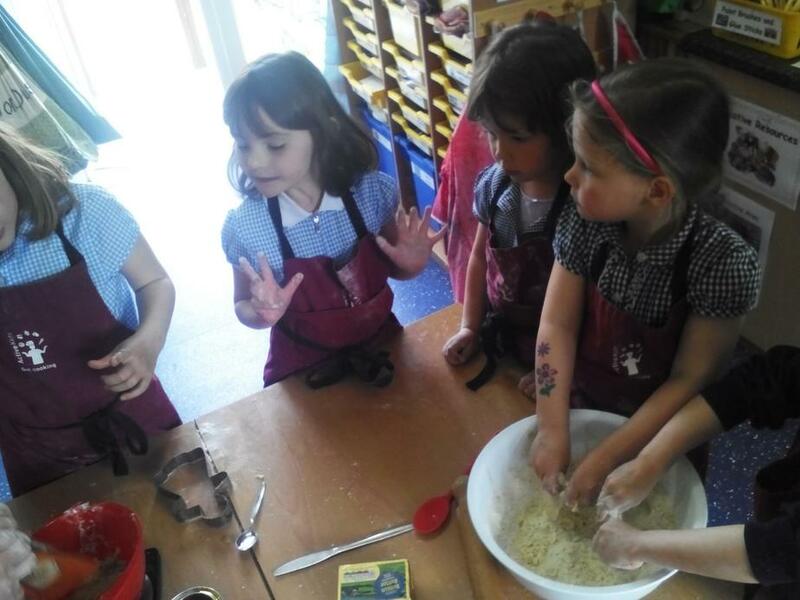 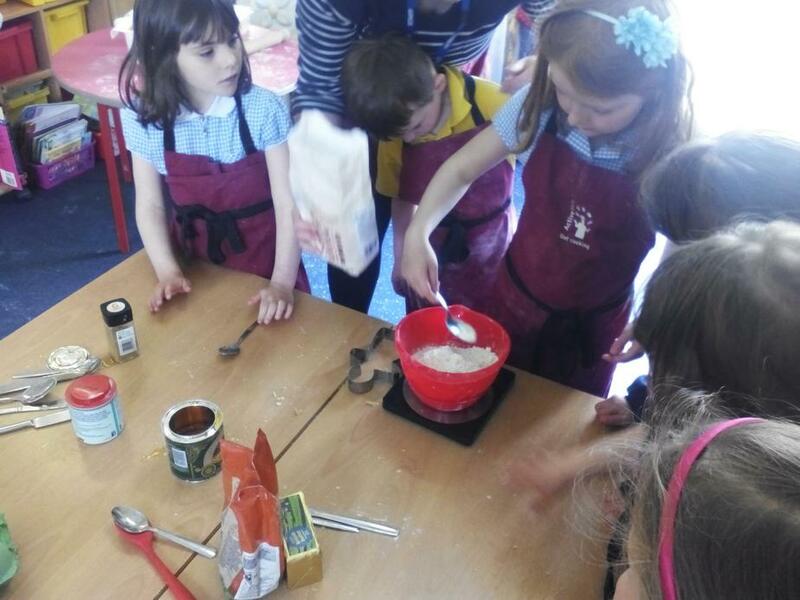 They had lots of fun baking them and then on Friday after playtime they got to each have a Gingerbread man or lady! 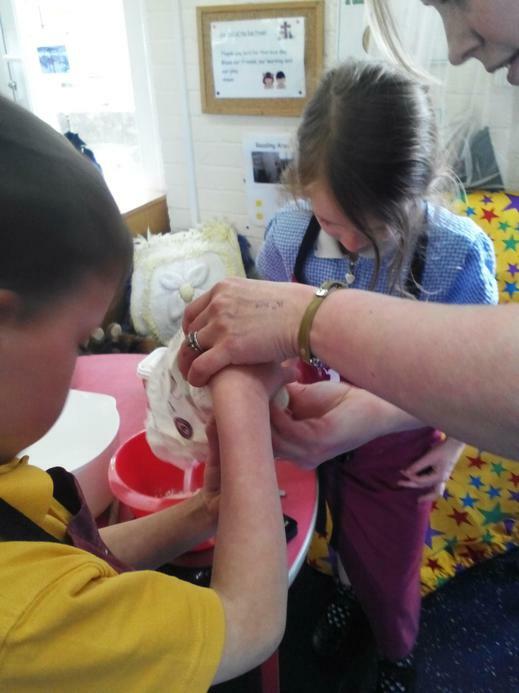 This was another highlight of the week! 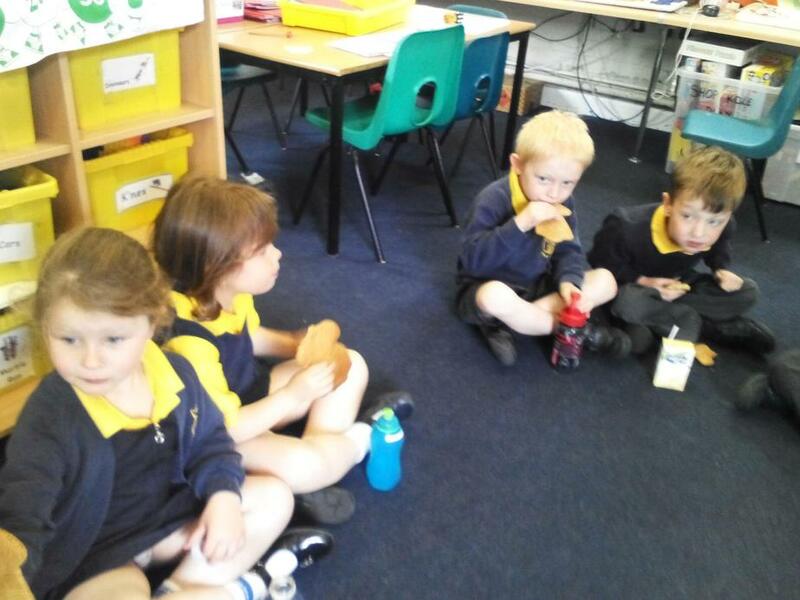 In Maths this week we have been learning to add on a number line by counting on and have started learning number bonds 10. 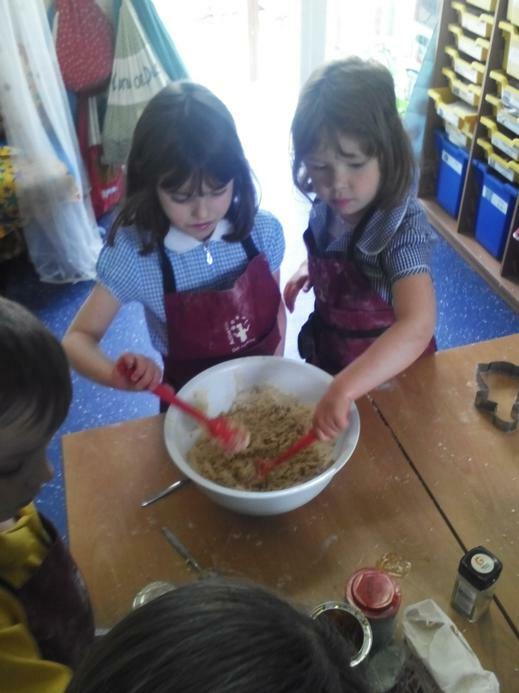 In Literacy we did our Once a Month books, we 'jumped' into Bert's painting in Mary Poppins and had wonderful adventures before writing down what we saw on our adventures! 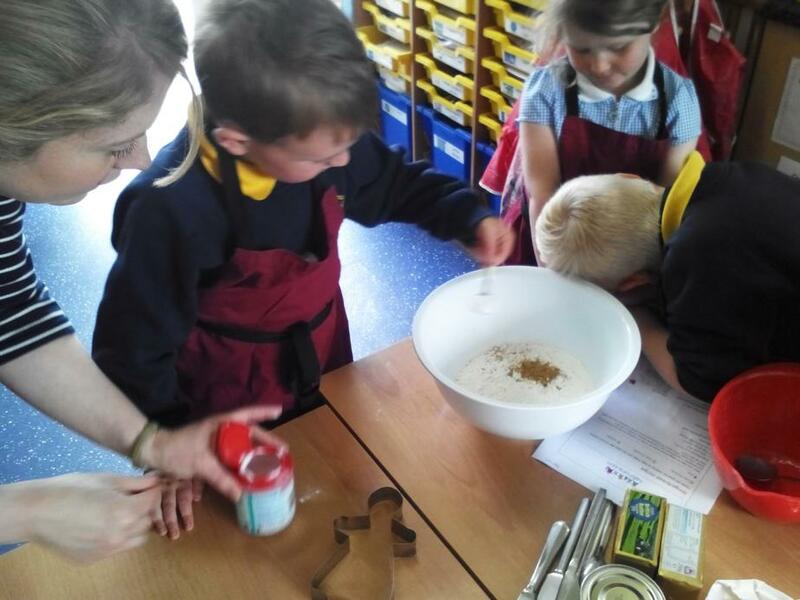 It was great fun and Giant Class did some amazing writing. 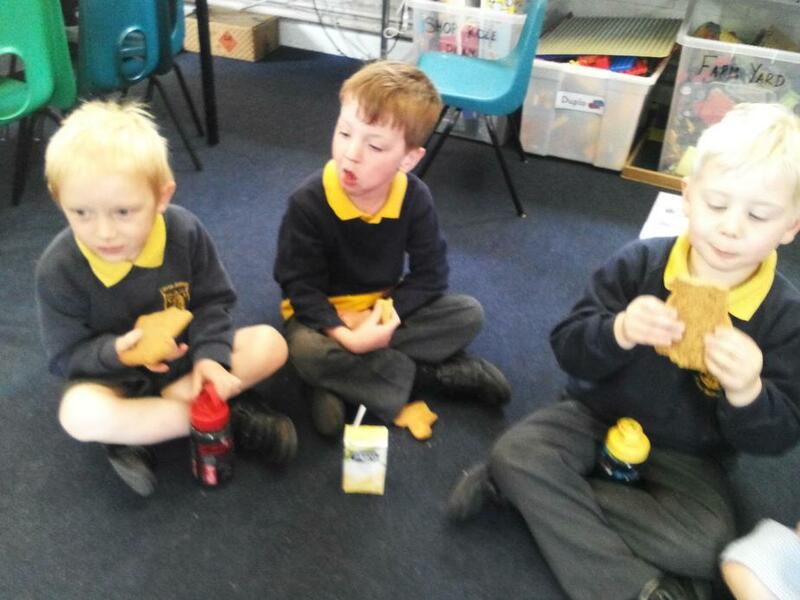 In Phonics we have been writing our tricky words and also writing words with more than one syllable.